Originally posted here on the Sharpologist website. The time has come. You’ve chosen your razor, you’ve learned to lather with a shaving brush, and you’re mentally ready to start shaving with a straight razor. Your next step is to purchase a shaving strop. Of course this decision can’t be easy. There are so many different types, components, brands, sizes. Which one is right for you? Let’s break it down in simple terms. This question comes up frequently in online discussions. So what is stropping exactly? Let’s go over the fundamentals. Stropping a straight razor is the process that straightens, and polishes the blade using a flexible fabric (such as cotton weave, linen, denim, felt), strip of leather, or newspaper. The term stropping is often misinterpreted with the term “sharpening”. While the razor may feel “sharper” after stropping it is actually “keener” since no metal has been removed from the blade. There are many different variations, but the technique and process is the same. Let’s take a moment to go over exactly how to strop a razor. The process of stropping a straight razor is quite simple but requires a gentle hand and some patience. Whether you’re using a custom kangaroo leather strop or a piece of newspaper the technique remains the same. You want to set the razor on the stropping surface with the blade facing away from you. Draw the razor over the surface leading with the spine with a very light touch. When you reach the end turn the razor on its spine so that the edge faces you. Never roll the razor on its edge. Rolling the razor on its edge will cause damage to both the razor and strop. Use the secondary component (canvas, linen, felt or cotton webbing) to “heat up” the blade in order to remove oxidation and microscopic burs that would embed themselves in the smooth side. Smaller strops require this process to be done alternatively in order to get the entire blade covered. This technique is called the x-stroke and requires the user to strop the razor in an “x” pattern. Here is a short video on stropping technique. Remember to take it slow and use very light pressure. All of the movies, cartons and television shows that show a barber rapidly stropping a razor have it wrong. You will end up with a damaged edge or worse, a ruined strop. Pastes and sprays are measured just like sandpaper and sharpening stones. They’re measured in microns rather than grit due to their tiny size. Common micron sizes for stropping straight razors range from 1 micron (14,000 grit)-all the way down to .10 micron (100,000 + grit). Yellow: Contains no abrasives. It’s used for conditioning the leather side of the strop. White: Very slightly abrasive. It’s used to condition the canvas/linen side of the strop. Grey: Slightly abrasive. Used for the canvas/linen side and slightly refreshes the blade. Black: Mildly abrasive. Used for touch ups. Separate strop required, approximately 1-2 microns. Red: Used for medium to fine sharpening. Separate strop required, approximately 1 micron. Green: Most abrasive. Used only in extreme situations. Separate strop required, approximately .50 micron. Chromium oxide is the most common paste you’ll find today. It’s cheap, easy to find and works fast. The most common size you’ll find is .50 micron. For most users that’s more than sufficient. Beware of pastes found at hardware stores and other big box retailers. 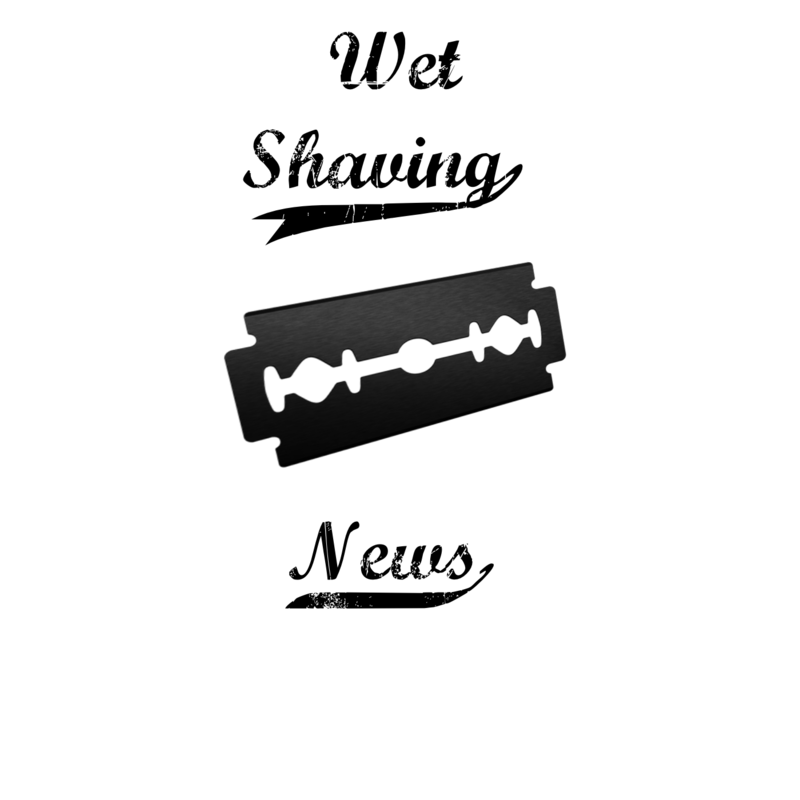 These versions tend to be cut with other components and may not be suitable for straight razors. Available in both paste and spray forms, diamond compounds come in different micron sizes for different applications and are reserved for the serious straight razor user. You’ll need a small microscope and multiple strops to truly understand how this stuff works. The sharpest edge possible is achieved with the help of diamond compounds but be careful, the edge may become so sharp the results may be uncomfortable for the face. While hanging strops dominate the straight razor world, there are several other types of strops that deserve recognition. You didn’t read the title incorrectly. Believe it or not newspaper, makes an excellent material for stropping straight razors. The ink makes the paper slightly abrasive, which is just enough to give your razor a nice edge. Even better, you don’t have to worry about slicing it up or maintaining it. It even works with pastes and compounds. It’s highly recommend for the beginner and works in a pinch for all experience levels. These strops consist of a flat piece of balsa wood that’s designed to be impregnated with a stropping paste or compound. These strops are cheap (usually only a few dollars), readily available (your local craft store) and work very well at refreshing an edge. Balsawood strops are not recommended for everyday use. What was once just used for knives and chisels, bench strops have gained popularity in the straight razor world. These strops are composed of a piece of leather or felt affixed to a wooden base that can be placed on a table top or work bench. Bench strops are especially good to use with pastes or abrasive sprays in order to fine tune your stropping. Some makers make bench strops with removable surfaces so you can use different stropping components. Loom strops are designed where the leather is wrapped around a metal or wood bracket that feeds the leather around making a complete circle or “loom” shape. These strops were once very popular, but their high costs and limited options kept most users away. Today, only a handful of companies produce loom stops, but that number is expected to rise due to the resurgence of straight razor shaving. The feature that sets loom strops from the rest is the ability to adjust tension. Users can simply tighten or loosen tension of the strop with a simple adjustment making this strop versatile for any stropping need. Thus, this strop is essentially a hanging strop that doesn’t need to be affixed to a stationary object. The paddle strop, comes in different forms. These strops range from basic one sided one material, to four-sided multi-material versions. The basic paddle strop usually consists of a piece of leather affixed to a wooden paddle much like a bench strop. More complex versions may consist of sides of leather, felt and/or canvas. The purpose behind this concept is for applying honing pastes or compounds. Different sides are used for different progressions of refreshing a dulling blade. These strops were very popular back in the 19th-early 20th centuries but lost some interest when straight razors went out of fashion. Several producers and artisans still make these strops today although they may be difficult to find. That brings us to the old hanging strop. Originally developed for barbers in the 19th century, the hanging strop is the most common straight razor strop today. It’s convenient, versatile and can fit into any budget. There are many different makes and models of these strops, so let’s go over the basics. There are 3 things to look for when purchasing hanging strop. The size of the strop, material, and whether it’s new or vintage. When it comes to selecting a strop, size is probably the most important selling point. Strops are measured in width and length however the width is the most sought after aspect. For years, 2 or 2.5 inch wide versions were the norm for hanging strops but recently artisans have been making 3 inch models to eliminate the x-stroke technique. The larger diameter versions have gained popularity and are quickly replacing their smaller predecessors. The debate about size is a bit controversial. The truth in the matter is that size is merely a luxury rather than a necessity. The size of the strop has little if any effect on the razor itself. Here is where decision making gets complicated. Once you’ve decided the size it’s now time to choose what type of leather and secondary component you want your strop to contain. With different types of leather (primary components for arguments sake) come different types of performance. Thus the “heavier” the draw the more resistance and the “lighter” the less resistance. Does the amount of draw really matter? It’s mostly preference, but this subject comes with a lot of controversy. Some say that “wedge” style blades perform better with a heavier draw. Some say that lighter draw works well with pastes and sprays. The truth is that as long as your strop made from quality leather then it will perform perfectly! Vegan: Synthetic material, medium to high draw, very few options, medium price tag, great alternative to leather, no break-in period. Buffalo: Medium to heavy draw, few options, medium to high price tag, limited availability, medium to long break-in period. Kangaroo: Light draw, few options, medium to high price tag, limited availability, and short break-in period. Cordovan (Kanayama): Horse shell leather, medium draw, high price tag, very limited availability, medium break-in period. English Bridle: Light to medium draw, high price tag, limited availability, very long break-in period. Cotton webbing: Newest addition to the strop world, works well alone or with pastes, readily available. Canvas: Used for years, similar output as linen but different draw, limited availability. Felt: Several variations, works with pastes, readily available. Nylon: Performance is questionable, doesn’t work well with pastes, slippery, readily available. Other (Fire hose, seatbelt): Cheap, works with pastes, availability is anywhere! Try them! If you’re into straight razors, chances are you enjoy the history behind them. Using something that has been around for a hundred years or so is pretty cool. You may want a vintage strop to compliment your piece of history. If a vintage strop is for you, please take the following pre-cautions before you click on “buy-it-now”. Be very careful when purchasing a vintage strop. Most of them will need some sort of restoration. If your heart is set on a vintage strop, have a mentor help you with choosing the right one for you. . Restoring a vintage strop can be time-consuming, but the end results are quite nice. Purchasing a brand new strop requires a break-in period that can range from a few days to months. Results may vary during that time. Now you have your strop and you ready for a lifetime of shaving. If your strop is going to make it, you’ll have to maintain it. Don’t worry, there’s not much to it. Maintaining a straight razor strop is quite simple. Simply rub the palm of your hand over it every other use or so. The natural oils in your hand will keep the strop oiled and clean. After some time your strop may begin to lose its draw or become “slick”. When that happens it’s time for a cleaning. Simply make a lather with the saddle soap and gently scrub the leather. Rinse out the rag and ring it out. Remove the soap and make sure the leather is clean. Let it dry and then apply a small amount of neatsfoot oil. Re-apply if needed. Add the detergent to the bowl of warm water, then dip the brush in the bowl. Gently scrub the strop, for a few minutes rinse, and hang dry. Do not put it in the dryer. Let the strop dry naturally or else it will shrink. When it dries you’ll be very pleased with the results. (Disclaimer, all secondary components are different. Please consult a professional before cleaning). For more information on this process click here. If you accidently nick your strop don’t worry. Most nicks can fixed. In that case use very fine wet sandpaper and progressively sand out the damage. (Use caution here, always consult an expert before repairing leather). Looks like it’s time to go out there and start stropping. Remember to have fun and don’t stress over getting the perfect “dream strop”. Choose a strop that fits your needs and budget and start shaving!